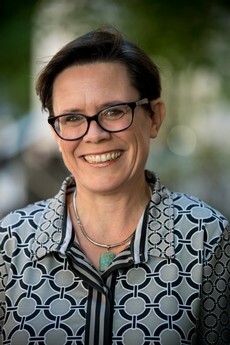 Katherine Clegg Smith is a sociologist with research interests around the social determinants of health and the application of qualitative methods to address important public health questions. Dr. Smith’s particular areas of expertise are the communication of health information and the lived experience of health conditions. She also has a general interest in identity and its relationship to health. Much of Dr. Smith's research is organized around individual and collective understanding of health issues and experiences. Dr. Smith was an author of the NIH Best Practices in Mixed Methods Research for the Health Sciences. Dr. Smith has several current research projects that are focused on communication and care coordination for cancer survivors, including an RCT of 3 models for the provision of survivorship care plans to people completing acute cancer treatment. She is leading the TPackSS study, a global surveillance system of tobacco packaging. She is also a member of the Health Experiences Research Network Steering Committee. Dr. Smith directs the PhD program in Health, Behavior and Society and directs the Center for Qualitative Studies in Health and Medicine. The following papers are illustrative of Professor Smith's current work in cancer communication and global tobacco control. Smith, K. C., Washington, C., Welding, K., Kroart, L., Osho, A., & Cohen, J. E. (2016). Cigarette stick as valuable communicative real estate: a content analysis of cigarettes from 14 low-income and middle-income countries. Tobacco Control, tobaccocontrol-2016. Smith, K. C., Klassen, A. C., Coa, K. I., & Hannum, S. M. (2016). The salience of cancer and the “survivor” identity for people who have completed acute cancer treatment: a qualitative study. Journal of Cancer Survivorship, 10(3), 457-466. Smith, K. C., Brundage, M. D., Tolbert, E., Little, E. A., Bantug, E. T., Snyder, C. F., & Board, P. D. P. S. A. (2016). Engaging stakeholders to improve presentation of patient-reported outcomes data in clinical practice. Supportive Care in Cancer, 24(10), 4149-4157. Smith, K.C., Washington, C., Brown, J., Vadnais, A., Kroart, L., Ferguson, J., Cohen, J.E. (2015). The Tobacco Pack Surveillance System (TPackSS): A protocol for assessing health warning compliance, design features and appeals of tobacco packs sold in low-and middle-income countries. Journal of Medical Internet Research Public Health and Surveillance. 1(2): e8.